Flower was abandoned in an inner Sydney park, with her wings cut horrifically short. Flower was alone, unable to fly and extremely vulnerable to predators. Luckily, she was found and rescued by a kind passer-by and brought to the sanctuary. Despite what humans have done to her, Flower remains very tame and trusting of humans. Flower’s feathers have all grown back now and she can fly at will. 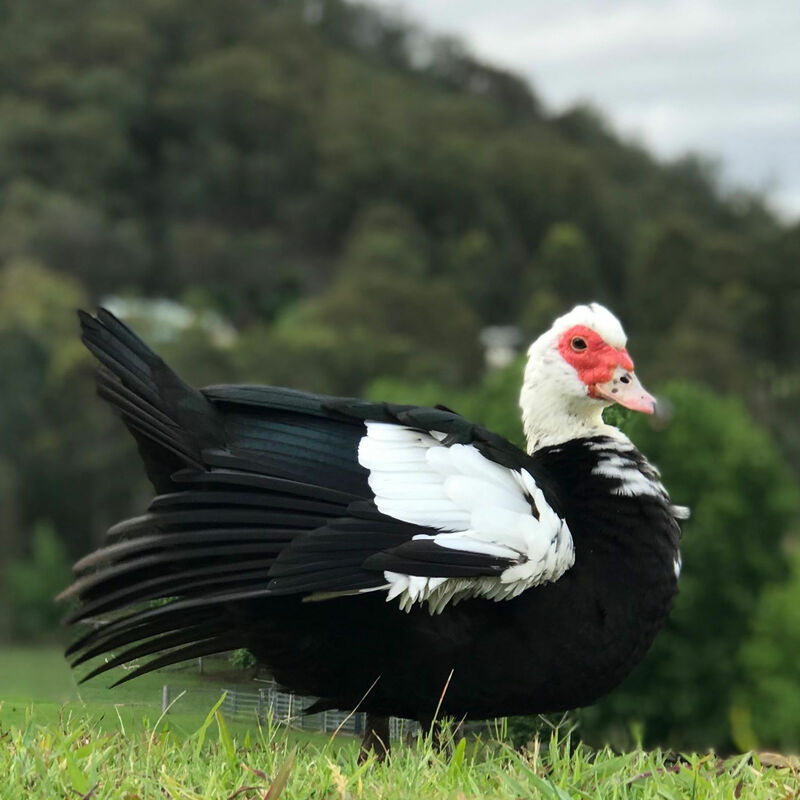 Lucky for us, Flower has chosen to stay at the sanctuary with her duck family including Thomas, Seymour and Nigella. Flower is home now and need never worry again. Flower is someone, not something. 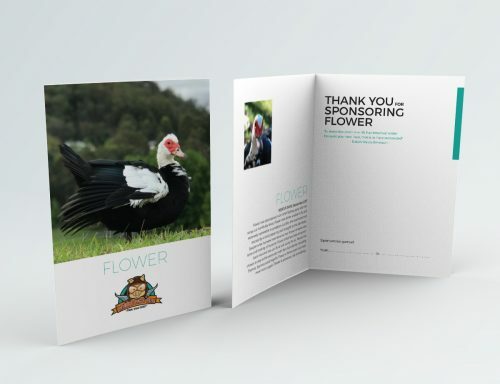 As a sponsor, you will receive a beautiful colour photo-card of Flower along with her personal profile. This will be mailed within five working days of receipt of order.